Your day-by-day itinerary now includes Dandenong Market, Luna Park Melbourne, Federation Square, and other attractions you added. On the 14th (Fri), you'll have a packed day of sightseeing: browse the different shops at South Melbourne Market, then make a trip to Hosier Lane, then don't miss a visit to Flinders Street Station, and finally examine the collection at Federation Square. For maps, reviews, other places to visit, and other tourist information, use the Melbourne holiday maker . If you are flying in from Singapore, the closest major airport is Melbourne International Airport. In June, daily temperatures in Melbourne can reach 16°C, while at night they dip to 6°C. You will have some time to spend on the 16th (Sun) before leaving for Buxton. Buxton is a small town 104km north-east of Melbourne in the Australian state of Victoria. Your day-by-day itinerary now includes Bruno's Art and Sculpture Garden, Buxton Trout & Salmon Farm, Yarra Valley Chocolaterie & Ice Creamery, and other attractions you added. On the 16th (Sun), stop by Yarra Valley Chocolaterie & Ice Creamery, look for all kinds of wild species at Buxton Trout & Salmon Farm, and then explore the galleries of Bruno's Art and Sculpture Garden. Keep things going the next day: fly down the slopes at Lake Mountain Alpine Resort. To find reviews, other places to visit, maps, and more tourist information, go to the Buxton driving holiday planner . You can drive from Melbourne to Buxton in 2 hours. In June, plan for daily highs up to 16°C, and evening lows to 3°C. You will have some time to spend on the 18th (Tue) before leaving for Warrnambool. Warrnambool is a regional centre and former port city on the south-western coast of Victoria, Australia. Your day-by-day itinerary now includes Lake Pertobe Adventure Playground, Logan's Beach and Flagstaff Hill Maritime Village. Kick off your visit on the 18th (Tue): enjoy the sand and surf at Logan's Beach, then walk around Lake Pertobe Adventure Playground, and then examine the collection at Flagstaff Hill Maritime Village. To find ratings, photos, reviews, and tourist information, read our Warrnambool road trip planning website . Traveling by car from Buxton to Warrnambool takes 4.5 hours. Alternatively, you can fly. You will have some time to spend on the 19th (Wed) before leaving for Apollo Bay. Port Campbell is a coastal town in Victoria, Australia. 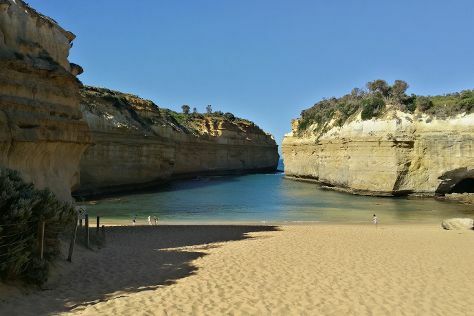 Your day-by-day itinerary now includes Gibsons Steps, The Twelve Apostles, Loch Ard Gorge, and other attractions you added. To find reviews, where to stay, traveler tips, and more tourist information, refer to the Port Campbell day trip planning website . Take a bus from Warrnambool to Port Campbell in an hour. Alternatively, you can drive. Wrap up your sightseeing by early afternoon on the 19th (Wed) to allow enough time to drive to Apollo Bay. Apollo Bay is a coastal town in southwestern Victoria, Australia. Cape Otway Lightstation has been added to your itinerary. Kick off your visit on the 19th (Wed): make a trip to Cape Otway Lightstation. Here are some ideas for day two: take a peaceful walk through The Redwoods, take in the dramatic scenery at Hopetoun Falls, and then tour the pleasant surroundings at Otway Fly Treetop Adventures. To see other places to visit, photos, and more tourist information, go to the Apollo Bay trip itinerary planning site . Getting from Port Campbell to Apollo Bay by car takes about 1.5 hours. Other options: take a bus. On the 21st (Fri), you'll have the morning to explore before heading off to Lorne. Lorne is a seaside town on Louttit Bay in Victoria, Australia. Your day-by-day itinerary now includes Great Ocean Road Story as well as Teddy's Lookout. To see reviews, maps, and other tourist information, go to the Lorne tour itinerary tool . You can drive from Apollo Bay to Lorne in an hour. Alternatively, you can take a bus. In June, plan for daily highs up to 16°C, and evening lows to 6°C. 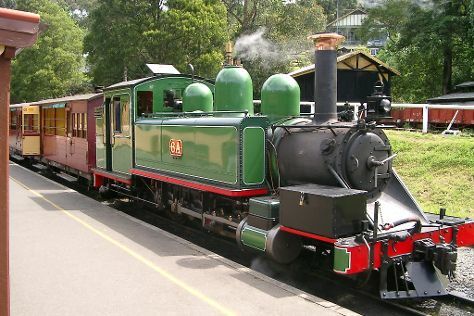 Wrap up your sightseeing by early afternoon on the 21st (Fri) to allow time for the car ride to Anglesea. Anglesea is a town in Victoria, Australia. To find photos, reviews, where to stay, and more tourist information, read our Anglesea trip builder site . Getting from Lorne to Anglesea by car takes about an hour. In June, daytime highs in Anglesea are 16°C, while nighttime lows are 6°C. You will leave for Torquay on the 21st (Fri). Before you visit Torquay, use our trip planner to discover what you can do and see there. Torquay is just a short distance from Anglesea. In June in Torquay, expect temperatures between 16°C during the day and 6°C at night. Wrap up your sightseeing on the 21st (Fri) early enough to drive back home.